Christmas season, for most people, is the best time of the year! The thought of good company, good food and lots of presents makes it a worthwhile time, and gives many people a reason to look forward to it. Shopping for presents, on the other hand, can be a stressful and anxiety-driven task. This is due to the fact that one has to consider and factor in the likes and interests of the person they are shopping for. Now, shopping for your teenage boyfriend can be trickier and even more stressful, with the need to impress and surprise him looming over you. Considering factors like your budget, his interests and significant memories you both share, getting a perfect gift can be a bit of tedious process. 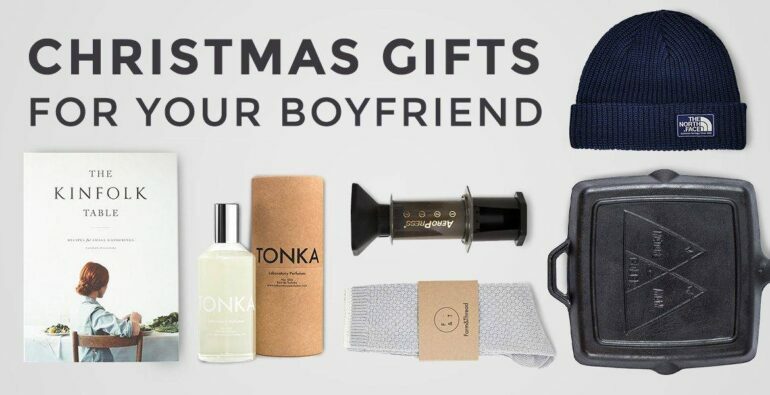 Below are some of the ideas for Christmas gifts for boyfriends, outlined according to interests, that will make your shopping experience a little easier and enjoyable. If your teenage boyfriend is a sports fan, getting him a gift related to sports will be a winner. Some great ideas include; tickets for a match or any sports activity, sports apparel such as his favorite team’s jersey or sports equipment such as a basketball. Another option is to get them a memorabilia item from their favorite sports player or team. There are many affordable and cool options to pick from if you decide to go for a tech gift for your teenage boyfriend. These options include but are not limited to; a virtual reality headset, a robotics kit for customized robots, a smart remote for controlling game consoles using Bluetooth for the gamers or a foldable keyboard. Additionally, getting them a gift certificate to a tech gift shop is a great idea, since it allows them to choose what they would like from a range of options. If your boyfriend is into fashion, then a great idea would be to get them something trendy and unique, something that compliments and aligns with their individual sense of fashion. Cool sneakers, a trendy backpack, sleek shades, happy socks and event-themed t-shirts are some of the options you can choose from. Christmas gift shopping for your teenage boyfriend that is into books is made easier by knowing his favorite genres and writers and other likes related to books. Finding out their book wish list and getting them a book from that list is guaranteed to make him happy. Other gift ideas include; customized book marks, an automatic light reader, a personal library kit, a bookworm-themed shirt and a cool but affordable bookshelf. Additionally, you can consider the following ideas for Christmas gifts for your boyfriend based on the memories and experiences you have shared together. Gifting him with items of sentimental value such as a custom-made phone case with either a picture of both of you or your favorite hang-out place, a personalized couple’s key chain, a picture frame, a mug or t-shirt with a special message and a set of board games for your bonding sessions will for sure make him love and appreciate you more!